Lectronix has a proud track record in design and manufacturing of some of the most innovative and ambitious technology projects for police vehicles. The common theme with these projects has been consolidating the complex mix of control, status, and computing needed by police officers. Each of these projects has featured a centralized control hub providing safe and ergonomic operations. Through these programs we’ve developed an extensive library of police-specific hardware and software building blocks. We have control protocols for many radios, emergency lighting systems, traffic radars, and other police equipment. We have hardware interface designs for these devices, and carefully designed approaches for fail-safe and reliability. We have application frameworks and controls that range from voice to touchscreen to the best hand controller ever fielded for public safety. 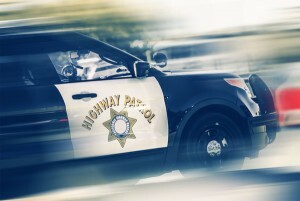 These technologies have been developed, extensively tested, and fielded with some of the world’s largest police agencies including the California Highway Patrol, Royal Canadian Mounted Police, and the City of Los Angeles. If you are a police department looking for a better solution for your vehicles, check out our products page and if you need something specific give us a call. If you are an equipment manufacturer looking to develop something similar or add features to your product, we are always interested in new programs and partnerships. And there is much more to come! We are currently working hard on next generation technologies that will keep integration of mobile devices and new public safety communication networks like FirstNet seamless and safe. 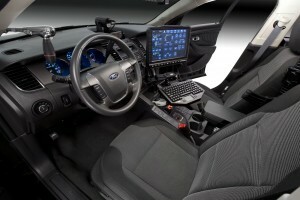 Connect with us to find out more and explore how we can help you build a better police car!